All Posts Tagged With: "smartwater"
Jennifer Aniston is my role model showing me that you are as old as you feel. Put your ‘age-ism’ and ‘age appropriate’ rules in a box and ship it to Australia. If it looks good on you wear it no matter how old you are chronologically. In this Smartwater ad Jennifer who is about 41 puts some 20 year old women to shame. We LOVE. 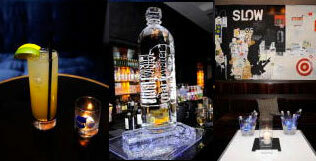 The Please Give film pre-party was sponsored by smartwater at the Tribeca Film Festival on Tuesday April 27th, 2010. They had a great turnout including: Catherine Keener, Oliver Platt, Rebecca Hall, Ron Livingston, Rosemarie Dewitt, Mark Ruffalo, Josh Hamilton, Thomas Ian Nicholas and Sarah Steele. Costar Amanda Peet, who gave birth to a daughter last Thursday, didn’t stop by the pre-party but stopped by the premiere. While smartwater was on hand, the bar at 60 Thompson also served the “scene stealer” a delicious vitaminwatwer zero and Stoli specialty cocktail.